One video does not make a YouTube channel. Not even three or several. You will need many and air it with consistency and quality. Your fans will expect it and so should you if you expect to earn a few million from your YouTube business These YouTubers Are Earning Millions: What's Their Secret? These YouTubers Are Earning Millions: What's Their Secret? Here is a list of the biggest channels on YouTube and how they got to be so popular. Who know, perhaps you'll learn the secret to making it big on YouTube. Read More . Don’t let that scare you. You need to start somewhere. Even someone like Lindsey Stirling began with a single upload because no record label signed her. In 2015, she earned $6 million, but it all started with a single video upload. She doesn’t need a record label anymore. So, ask yourself a “why” and a “what”. Why do you want to start a YouTube channel of your own? What will you make videos about? 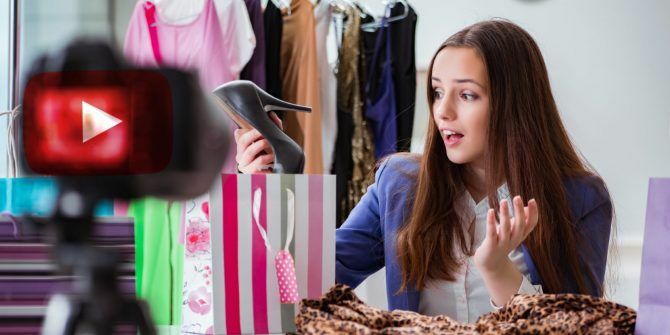 And, then let these five bestselling Udemy video guides solve the problem of the “how” as each takes you through the nuts and bolts of a side-hustle that can be turned into a business. This is our continuing series on the best Udemy classes which can help you tap into your hidden potential. Key lesson: How to start a YouTube channel from scratch and build it into a brand. With so many success stories around, you don’t really need to start from “scratch”. The key ingredients of any hit YouTube channel 9 Key Ingredients of a Successful YouTube Channel 9 Key Ingredients of a Successful YouTube Channel Truth be told, there is no set formula for a successful YouTube channel. But there are a few key ingredients that will make your chances of YouTube fame all the more likely. Read More can be easily distilled. Consistency is one of the most important one which will attract viewers. With viewers will come the subscribers (and not the other way round). Phil Ebiner and Mike Moyer run this masterclass. Mike has his own thriving YouTube channel called “Mike and Lauren“, so both of them know what they are talking about. Friendly instructions will carry you through the overwhelming parts even if you are a beginner. It’s even recommended if you are already producing content for your channel. Key lesson: How to make better videos. Your charming personality will help but YouTube is all about videos. 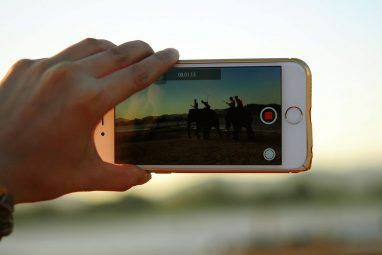 So, video production skills and your equipment will matter in the long run for making those quality videos 10 Simple Tips To Make Home Videos Look Professional 10 Simple Tips To Make Home Videos Look Professional As mobile phone cameras have gotten progressively better, they've become reliable tools for recording videos on the go. Here are 10 tips for making your videos look professional. Read More . Even when you are making them with the garage door as a background. The good news is that you can start this bestselling course with any type of camera that can shoot videos — smartphones, DSLRs , point and shoots, or even a webcam. And, you will see a familiar face as Phil Ebiner takes you through the nine hours of video production techniques. Pay special attention to the module on lighting as in my experience, sunny photons can make or break any shot. There’s instructive section on how to set up your microphone for audio in any situation. A real-world case study wraps up the course and just might make you think about Adobe Premiere Pro too. Then, the three live video chats a month are an added bonus. Key lesson: How to create professional whiteboard animation videos in minutes. I am notoriously camera-shy. How do I get on YouTube? A whiteboard animation video sounds like the perfect solution. You might have seen popular channels like The RSA and AsapSCIENCE explaining so much with sketches. The magic sauce is in the idea and the execution. The whiteboard animation software How To Make Whiteboard Videos For Your Website How To Make Whiteboard Videos For Your Website One of the coolest tools for creating visual content lately is the "whiteboard" video. A pen, a whiteboard, and some fun drawings - it's actually really easy! Read More is the blender. There are many in the market. This Udemy class teaches you the ins and outs of Explaindio [No Longer Available]. It combines explainer style video creation with whiteboard animation in one single package. The almost 30,000 students enrolled for this course suggests it is a popular guide to the software. 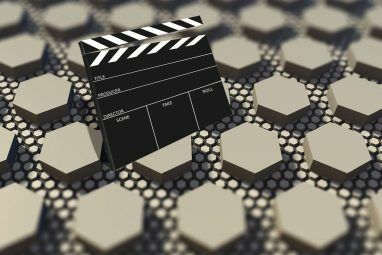 You might have another tool in mind, but hold on to the idea of explainer videos for your own channel. Key lesson: The secrets of keyword research and promotion strategies for ranking. Remember, YouTube is just a tool. Just uploading your videos won’t bring in the eyeballs — you have to go guerilla. 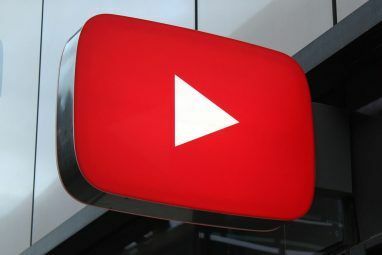 More than 400 hours of video are uploaded to YouTube 25 Amazingly Interesting YouTube Facts You Should Know 25 Amazingly Interesting YouTube Facts You Should Know There's a lot you probably don't know about YouTube, so here are some amazingly interesting YouTube facts to check out. Read More per minute. It already has a Himalayan sized collection of more than a billion videos. How do you grab attention (and keep it)? You understand the science behind the rankings. This YouTube SEO course will take you from the creation of your first video to optimize and rank it for your personal or business goal. Christine Maisel takes you through different types of videos and explains how the strategies apply to each. Key lesson: Get subscribers, views, and revenue with promotional secrets. You have done everything right. The content and the SEO is in place. But, you still need to cross the great digital divide and bring in some ad revenue from the consumer. This is where a small “method” can make your videos pop and stall the wandering eyeballs. A well-designed YouTube Thumbnail How to Make the Perfect YouTube Video Thumbnail How to Make the Perfect YouTube Video Thumbnail Your YouTube thumbnail is much more important than you might think. Here's how to make a video thumbnail that will get you more viewers. Read More is the difference between catching your audience or watch them scroll past. Thumbnails are the small clickable images that a viewer clicks on to look at your videos. You can add custom thumbnails and use them as a “billboard” to increase attention and recall. Or, place a Google Ad on it to bring in bit of money. More than 13,000 students agree as they have enrolled for this four-hour course. Your own YouTube channel could be a good side-hustle. For coders, teachers, makeup artists, graphic designers, or any other creative type it can even be a resume. Just look at some popular vlogs in a topic of your choice for the mental determination you need. The tools are all here — so just start. Pick one course from the above list to begin with. Have you tried your own YouTube channel? Has it succeeded (or failed)? What has been your best lesson so far? Explore more about: Education Technology, Online Courses, Udemy Courses, YouTube.